Become a One in a Million Bride! Join now! Take a walk through our shop. See our video! We're sorry to see you go! We respect your privacy and will remove you from our list as quickly as possible. Type in your email address, and hit 'send'. 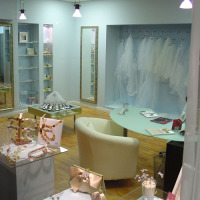 * Please note: all information is confidential and for the sole use of One in a Million, a Bridal Accessory Boutique.